This accommodation opened in 2014. Here our short and long term volunteers, (inter) national students, guests of the care projects, but also local tourists can meet. The volunteer house is situated in the Geluksdal Extension, at the border of KwaThema township, in a safe and clean area. 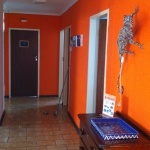 Facilities such as supermarket, post-office, church, are within reasonable (although not in walking) distance. 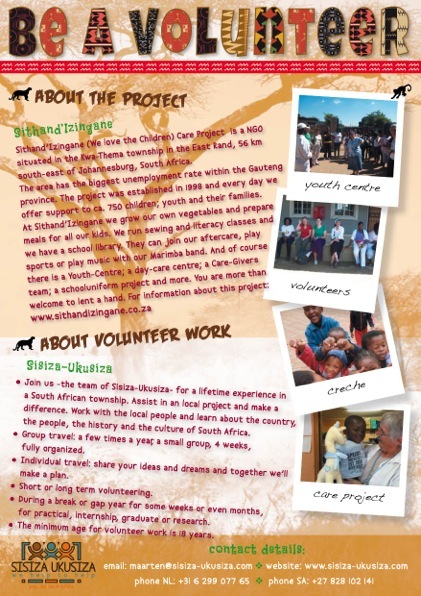 The volunteer house is run by the Sisiza Ukusiza management and it is our aim that the local youth will run the -day to day- operation as part of our youth development program in cooperation with the Sithand’Izingane care project. After their training, we aim for the trainees to find jobs in the hospitality industry in South Africa. 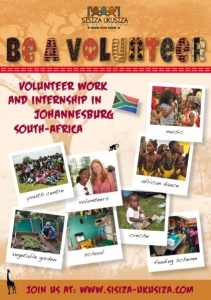 Next to the fact that this is our private home, and the home of the Dominican Sisters SA, the volunteer house is also the place for short and long term volunteers, (inter) national students, guests of the care projects, but also local tourists. The volunteer house can provide for max. 6 people, divided in various rooms (single or double). We share the kitchen and after a day of hard work we prepare food and join diner together. 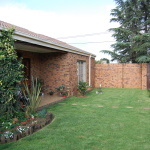 We also share sanitary facilities, there is a sunny garden and for transport you are dependent on our car for the volunteer house, or we arrange other transport, or you can organise your own transport (rental car). For transport (trips, excursions, shopping etc) there is a special price list. If you want to stay over for the night, for short or long term, or if you want to join our volunteer program as a group, please give us a call, or sent @mail to maarten@sisiza-ukusiza.com Together we will make a plan for those weeks / months together with a financial plan. Under our name BE MY GUEST, Bed, Book & Breakfast Sisiza Ukusiza will open a B&B around Augu 2019 in Melville – Johannesburg, the lively and vibrant student quarter of the city. 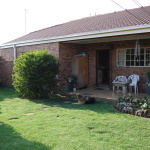 This accommodation, is related to the township accommodation in Tsakane, and youth development program. Within this program, the youth of Tsakane / KwaThema will be trained to become professional workers in a tourist industry. At this time preparations are busy and flooring has been installed, walls are painted, garden and pool are cleaned and ready. We are now also waiting for the Johannesburg Municipality to approve our applications on the different permits. This process will take another 4-6 months. We will open our doors via the regular international booking websites and AirB&B. More news about the opening of our B&B, will follow soon on this website and our newsletter.